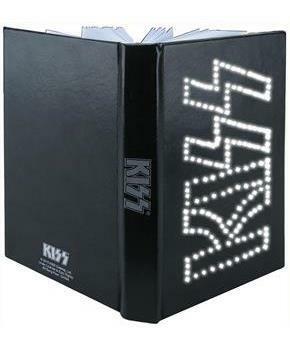 Presenting the KISS Light-Up Journal from Bif Bang Pow! Itâ€s the perfect place to jot down the lyrics to your next hit song. This awesome journal is made of shiny leather-like material with the KISS logo on the spine and back in metallic silver letters. But thatâ€s not all. The KISS logo on the front lightâ€s up! Push the button on the front cover and the running lights around the letters come on. Comes with 3 LR1130 batteries that are easy to access and change. Perfect for any KISS fan or aspiring rock star. 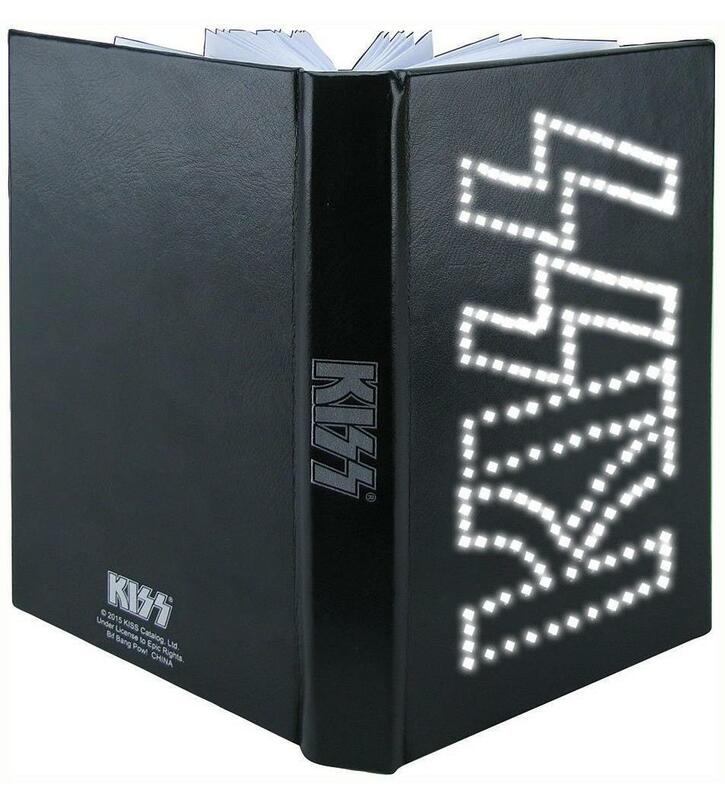 Presenting the KISS Light-Up Journal from Bif Bang Pow! The perfect place to jot down the lyrics to your next hit song. This awesome journal is made of shiny leather-like material with the KISS logo on the spine and back in metallic silver letters. The KISS logo on the front also lightâ€s up! Push the button on the front cover and the running lights around the letters come on. Comes with 3 LR1130 batteries that are easy to access and change.